The advance word on this film was that it was great because it feels a lot like an episode of the TV show. As it turns out it’s not so great because it feels a lot like an episode of the TV show. Clearly this isn’t going to be a problem for everyone and it is probably entirely appropriate, this being the film to mark Star Trek’s 50th anniversary, but it just isn’t as epic as it could be. It’s not that the effects and the sets aren’t good, it certainly isn’t small in that respect. It is the story that doesn’t reach far enough. Most of the many different TV series, with the possible exception of Deep Space 9, followed a standard villain of the week format. The crew goes on a mission, they meet a bad guy, a valued crew member or the whole ship or the entire federation are threatened, they beat the bad guy, status quo is resumed. The best of the Trek movies have gone beyond this with there being some other kind of emotional conflict or some tricksy conceit. Certainly the last two movies with this new crew had the clever time looping reboot in number one and the dark history of a powerful betrayed ally in number two (which had obviously been done before). This isn’t the first time the makers of these new Star Trek films have over estimated how much we care about the players. The (momentary) death of Kirk in the last movie didn’t have a fraction of the impact of the similar death of Spock in The Wrath of Khan, we just didn’t know or respect the man enough. In fact this latest film takes a step back on the character development just when it needs to be investing in it a lot more. Kirk is a fairly one dimensional hero in this one, Spock has actually dialled down his famous quirkiness and Bones’ cantankerousness is oddly unconvincing this time round. The captain and his first officer are supposedly going through some kind of career crisis but that is all wound up entirely predictably by the end. Sulu turns out to be gay which is downplayed (as it actually should be because it’s great that it’s there but it ought not to be a big deal), Uhura frowns a lot, Scotty splutters, Chekov unfortunately does not feature as much as he retrospectively should have. Idris Elba’s baddie doesn’t get a huge amount of personality either. There is a heavily signposted twist surrounding his motivations (which is not that different to that of Abraham in Insurrection) but mostly he just struggles to act his way out from under heavy prosthetics. 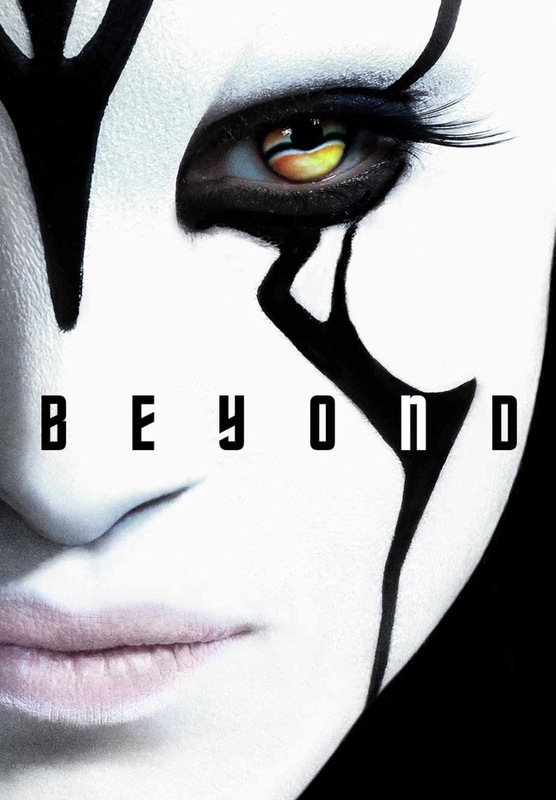 The most interesting character is easily Sofia Boutella’s zebra striped Jaylah. This is good because Boutella didn’t show much depth in Kingsman but here she is engaging, amusing, endearing and layered. The film would be a lot less without her. 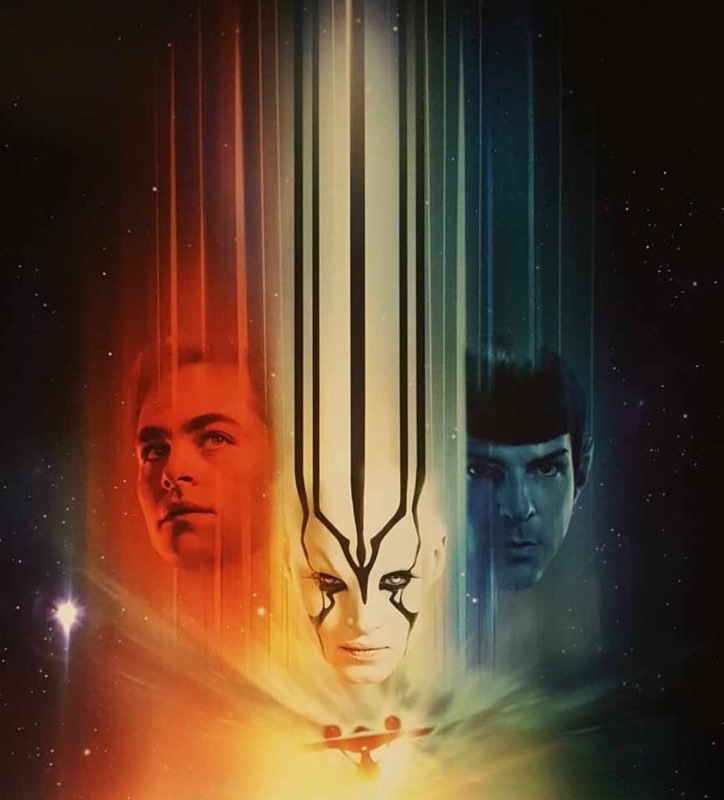 Star Trek Beyond is not a bad film, it is still lightyears ahead of Independence Day 2, it just doesn’t boldly go where it needs to. The prize here definitely goes to Boutella. Uhura is typically brave and selfless but these films are not really serving Zoe Saldana as well as they could. At least there is no gratuitous bra and knickers shot in the film like there was with Alice Eve last time. Apart from one random moment where Spock decides to utter an expletive there is nothing here that is particularly surprising. The evil aliens are a little cross and snarly and people do get blown up and disintegrated but all in a typical 12A sort of way.